Q. Our house has forced-air heating and AC, with two zones. We replaced our old thermostats with programmable models to save energy, but we haven’t seen any significant savings this winter. What are we doing wrong? A. 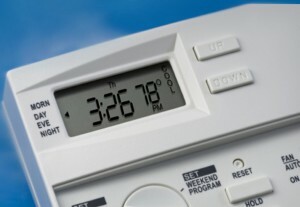 Research has shown that programmable thermostats can cut your heating and cooling costs, but only when used correctly. Try programming your thermostats to set back automatically to around 60°F when you’re sleeping (between 11pm and 6am), and 68°F when family members are up and about. If your thermostats allow separate weekend settings and you sleep late on weekends, extend the 60° time period accordingly.